Establishment Judges, Bankers Attempt to Subvert Brexit Will of the People Risking Civil War! 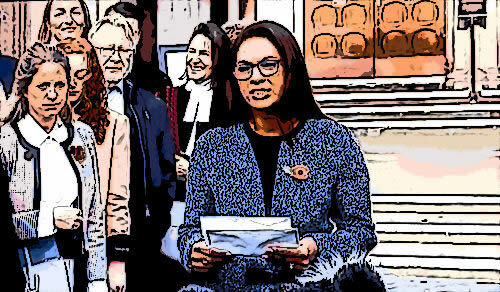 In craftily worded judgment the establishment elite comprising city bankers, business owners and elite judges have attempted to subvert the will of the British people who voted to LEAVE the European Union in their first real opportunity to vote against the establishment elite who have tended to play pass the parcel amongst themselves at each general election for at least the past 40 years! Elite exercising their power, so much for 1 man 1 vote! Nevertheless the CONSEQUENCE of today's judgement is that 80% of the bought and paid for Westminister MP's who obeyed their elite masters and voted and promoted REMAIN in this years campaign will decide on whether Article 50 is triggered. Therefore the elites judgment ensures that as things stand today BREXIT CANNOT HAPPEN! Due to the fact that by referring the decision back to MP's WILL PREVENT Theresa May's government from triggering Article 50, which was the government intentions to do so by March 2017. So where the scales of British democracy are concerned , 3 Judges can outweigh the votes of 17 million people! So what was the point of Westminister MP's asking the British people to vote in the EU referendum if they are now trying every trick in the book in attempts to IGNORE the settled WILL of the BRITISH PEOPLE! WHAT WAS THE F-ING POINT OF HOLDING the REFERENDUM? That is what the British people need to ask their with their snouts in the troughs MP's (80%). WARNING - This is How Civil Wars Start! The establishment elite are playing a very dangerous game by attempting to subvert the will of the British people. For civil wars are never planned affairs, instead follow a sequence of events as the ELITE attempt to hold onto power at all costs. So just as 5 years ago when the Syrian people first started peacefully demonstrating against the Syrian Assad family led elite, NO ONE had any idea of what was to come, as the first crackdown sparked a sequence of events each of which led all the way to today's catastrophe of a destroyed nation. Similarly, today could be as having the potential to be seen with the benefit of many years of hindsight of what could happen if sequence follows sequence of the elite attempting to subvert the BrExit vote. No one today can imagine such an disastrous outcome, but THIS IS how civil wars start! Theresa May's government is expected to appeal against the High Court judges and who I am sure recognises the consequences of ignoring the declared will of the British people, whilst the elitist, greedy fools who brought about today's ruling will remain totally ignorant of all the way towards a disastrous outcome. However, today's ruling now gives Theresa May a get out of BrExit excuse, whereas if Article 50 had already been triggered then Britains path towards freedom would now be clear. Instead we now have to look forward to another 5 months of the establishment elite who wrote all of the rules and laws attempting to subvert the WILL of the British people! Make no mistake about it that the mass of the British people today whilst silent are quietly VERY angry that a few wig wearing clowns are attempting to subvert that which they voted for! In terms of the immediate consequences then today's judgment by the elite risks triggering an general election early 2017, at which time the British people should attempt to vote out EVERY REMAINER who serves the interests the elite over that which is in the best interests of the British people. For more on the prospects for a post Brexit Britain see my following in depth pieces of analysis that continue to become manifest. 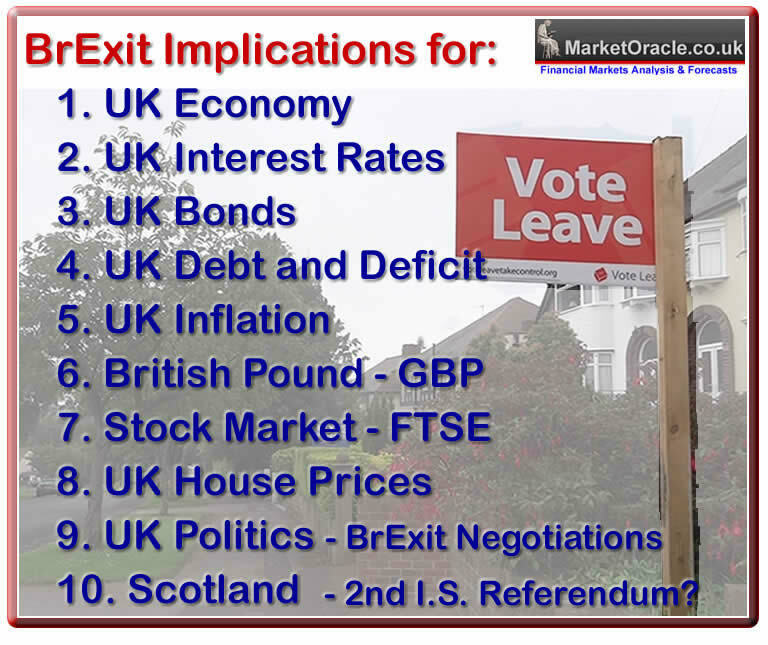 And ensure you are subscribed to my always free newsletter for more in-depth analysis that attempts to map out what is likely to happen next to Britain and Europe.